Kyoto, Japan. 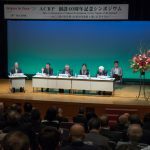 Religions for Peace Asia, also known as the Asian Conference of Religions for Peace, has commemorated its 40th anniversary through an interfaith gathering with the theme “How to Respond to Violent Extremism in the Name of Religion?” on 26th October 2016 at the Kyoto International Community House. 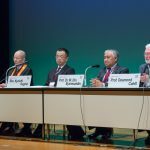 The conference highlights the continuing advocacy of Religions for Peace to promote interfaith dialogue at various levels in countering religious extremism. In his congratulatory remark, Ven. 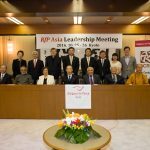 Xuecheng challenged ACRP to keep “mutual respect, mutual tolerance and mutual learning” as its underlying principles in addressing the contemporary issues and problems. Responding to the keynote speaker, Rev. 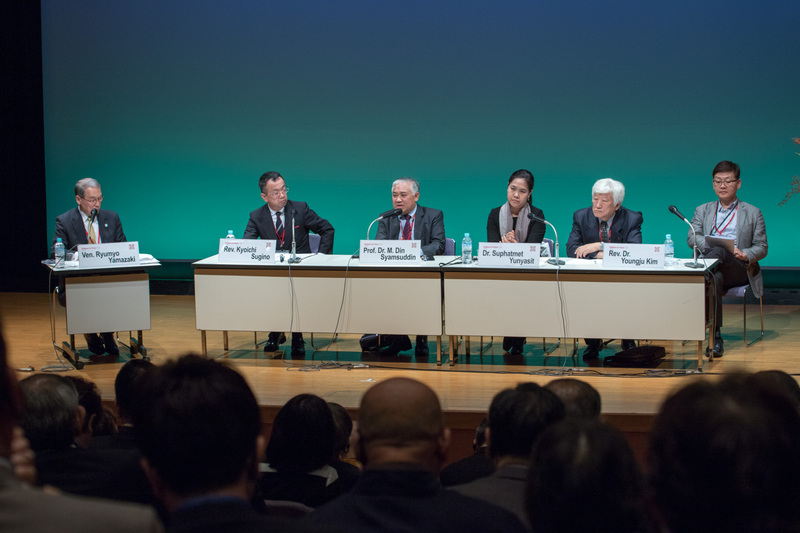 Kyoichi Sugino, the Deputy Secretary General of Religions for Peace International, points to the important role young people have to play in promoting social harmony. The Religions for Peace youth network, he said, is an “effective way of preventing violent extremism among the youth.” Moreover, the religious youth leaders can actively promote mutual understanding, respect and tolerance through social media. Dr. Din Syamsuddin, ACRP Moderator and President of Religions for Peace Indonesia, calls on the silent majority to actively engage in peace by providing counter narrative as a way of responding to the ISIS problem. Dr. Suphatmet Yunyasit, representing Dr. Parichart Suwanbubbha, of Religions for Peace Thailand, shared their early warning system of preventing violence in Pattani, Thailand, where there is a crisis in the relationship between Buddhist and Muslim. 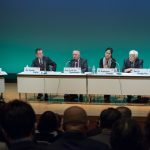 Responding to extremism, according to her, is to acknowledge that conflict is part of reality, and to consider it as an opportunity for change.